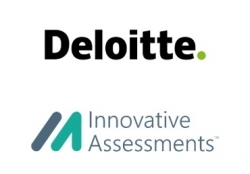 Deloitte and Innovative Assessments have entered into an alliance that will allow banks to reliably approve more loans among traditionally underserved consumers. Paris, France, April 01, 2019 --(PR.com)-- Brightman Almagor Zohar & Co. (“Deloitte”), a member firm of Deloitte Touche Tohmatsu, Ltd., and Innovative Assessments International, Ltd. (“IA”) have entered into an alliance that will allow banks to reliably approve more loans among traditionally underserved consumers. France will be the first country where IA’s Worthy Credit(TM) psychometric-based credit scoring solution will be offered to the banking industry as part of this alliance between Deloitte and IA.